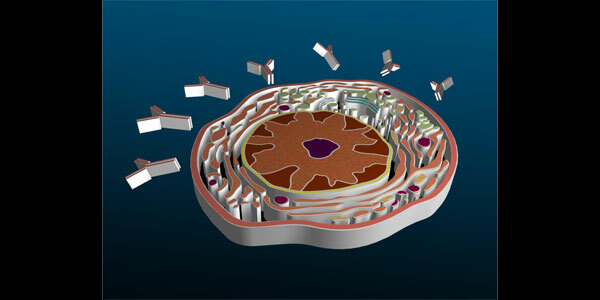 A component has been identified by researchers in Umeå University, Sweden, as a novel regulator of the immune system. It acts as a molecular switch to deactivate the innate immune system and has the ability to prevent certain diseases caused by an excessive activation of the immune system. This is shown in a new doctoral thesis at the university. Our innate immune system is activated when the body needs to protect itself against pathogenic organisms, such as bacteria and viruses, or heal injured tissue. In some people, the immune system overreacts, which can cause chronic inflammatory diseases and cancer. Researchers identified MYSM1, a component of the ubiquitin (a small protein that is found in almost all cellular tissues) system, as a key regulator that stops excessive inflammation. They found that this molecule acts as a ‘rheostat’, which in response to innate immune stimuli, is turned in an ‘on and off’ manner to restore immune homeostasis (tendency towards a stable equilibrium).